Goa’s charms go deeper than the immediate images of sun, sand and siesta its name conjures up. The state’s richly flavoured local cuisine is reason enough to make a pilgrimage (especially when you pair your meals with time on the beach and a few refreshing beers afterwards, if you’re so inclined). 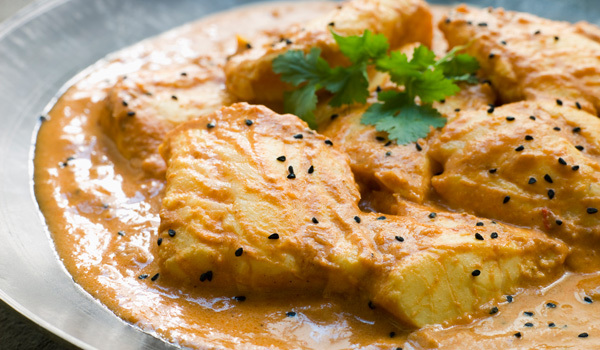 Just be sure to come primed for exploration: there’s certainly more to the cuisine of Goa than its famous fish curry. 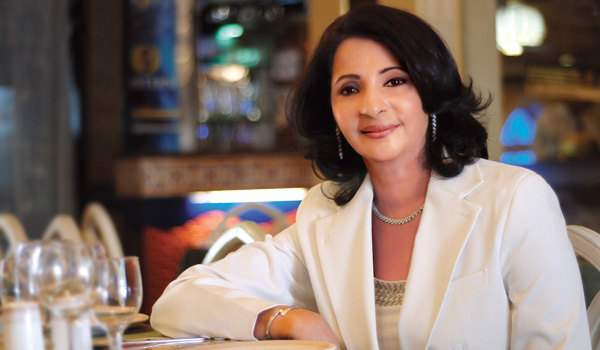 For our guide to the region’s food, we spoke with an expert who’s dedicated her career to mastering Goa’s complex flavours. In the cuisine of Goa, seafood and pork dishes are both prominent, but there are still lots of choices for vegetarians. Those who don’t eat meat can enjoy specialtiess like ross (a coconut-based dish), hoomans (local curries) and karam (salads). Traditionally, cooking was done in clay pots over firewood, which added a subtly smoky flavour, but that old-fashioned method is now practised only in the rural parts of Goa. 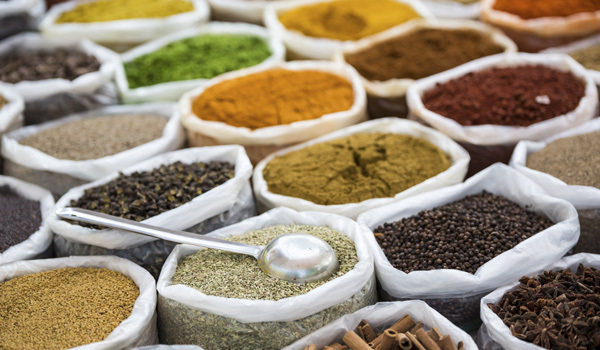 No matter how the food is cooked, though, the freshness of spices is key: whole spices are best when freshly ground, and while the method requires patience and muscle power, the gains are well worth the pain. 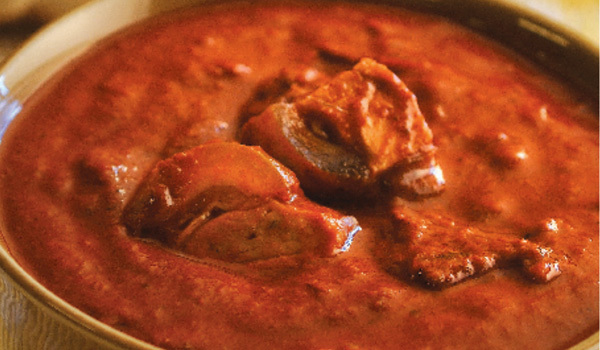 For those looking for classic Goan dishes to try, Chef Awchat recommends, apart from the more famous dishes like pork vindaloo, cafreal (a spicy chicken dish), balchao (seafood or pork in a fiery sauce) and sorpotel (a pork and liver stew), that guests veer towards less publicised local favourites. 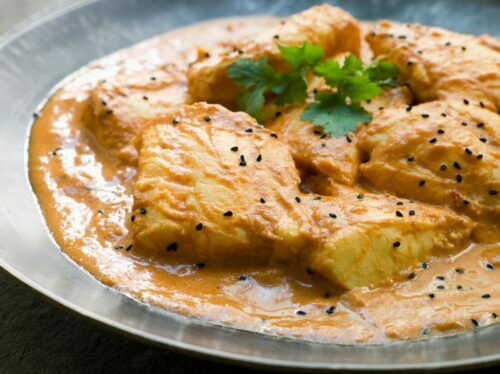 Must-taste dishes include chicken baffad (chicken cooked in coconut milk), pork assad (braised pork), and fish caldine (a yellow Goan curry). 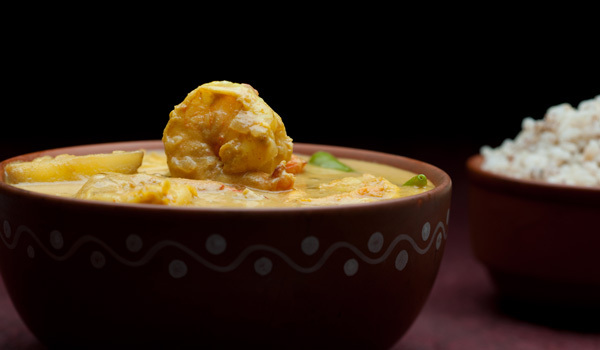 Personally, Chef Awchat loves dishing up a divine prawn curry with raw mango and rice for a quick classic.